Although it’s still rather chilly and there’s a howling gale blowing outside as I write this, our new workshop season is now just a couple of weeks away and we’re looking forward to getting out for a bit of spring photography after a winter of workshop hibernation! There are already a few interesting subjects springing up in woodlands locally – particularly snowdrops and winter aconites (there’s a great crop of snowdrops in the grounds of Goldsborough Hall near Knaresborough, which was open for two Sundays this month – well worth a look next February if you get the chance). 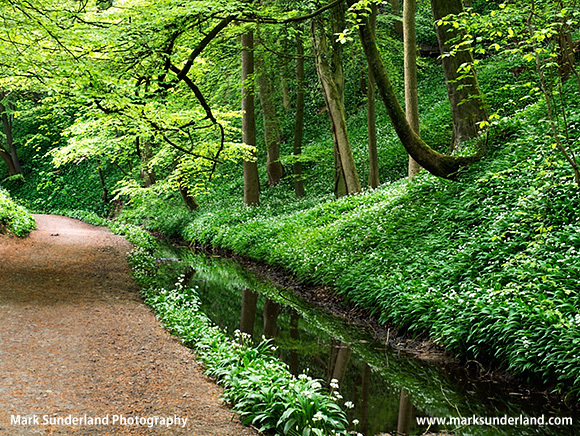 There are also a few daffodils putting in an appearance, but later on in spring is when the woodlands become really colourful with fresh spring foliage, bluebells and wild garlic flowers coming into bloom. For all of these subjects you’ll need a nice still day (i.e. not today!) ideally with the soft diffused light of a bright but overcast sky to preserve detail in all of the delicate spring flowers. 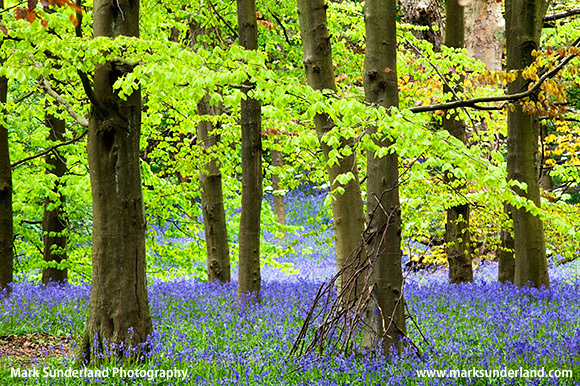 Don’t forget to take your tripod, as even on a bright day under the canopy of emerging leaves you’ll find that exposure times can get quite lengthy – hence the need for a windless (or near windless) day so there’s not too much movement in the flowers or the ends of the branches – though a little blurring at the ends of twigs from some gentle movement can add an extra dynamic to your images. 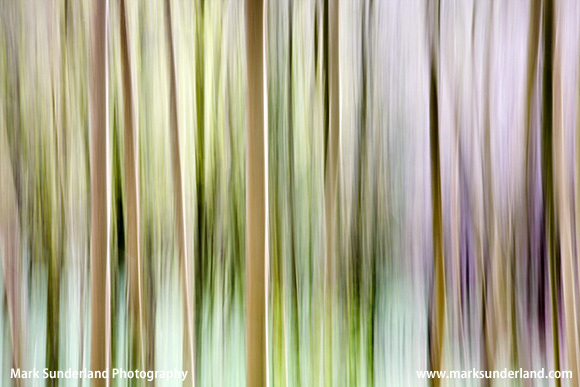 Talking about movement, the best sort of conditions for woodland photography also lend themselves to creating abstract images with intentional camera movement so if you like abstract images (or you’ve forgotten your tripod!) this could be the thing to try. Birch trunks work particularly well, surrounded by fresh spring green. 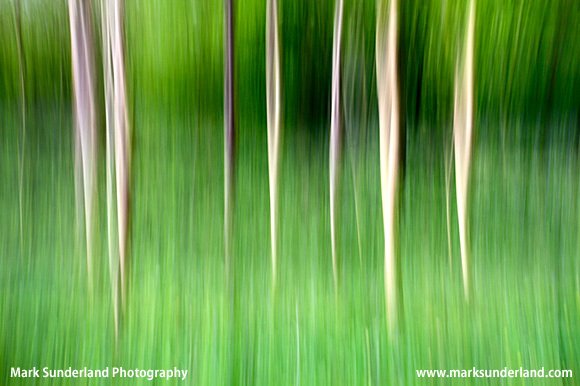 Select a slowish shutter speed (I usually pick something around 1/8th or 1/15th of a second) and pan the camera along the vertical lines of the trunks whilst releasing the shutter. The effect can be quite magical, but try to avoid patches of open sky behind the trees as these will be overexposed and can look ugly. 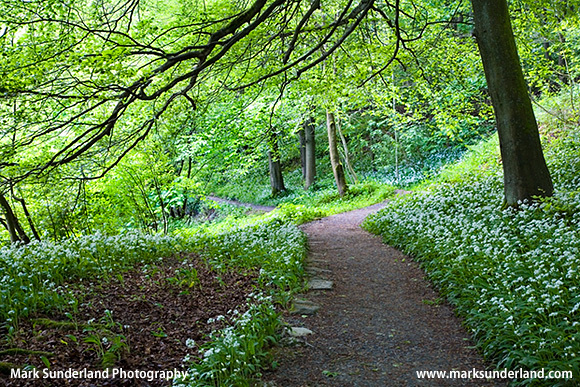 If you’d like to join us on a workshop this spring, we’ve got spaces on our second visit to Bolton Abbey in May and also on the Malham workshop in May, when the wild garlic should be in bloom in the woods!